Inflation – What, Me Worry? Janet Yellen has been dumped into the Brookings Think Tank by Donald Trump. Should we care? For years, she resisted her traditional banker type peers on the Fed and kept interest rates very low by traditional standards. The old bankers were peeved because higher interest rates usually mean bigger profits for lenders. Janet Yellen was no silk-stocking blueblood by upbringing. Her father was a doctor whose patients were primarily dockworkers living in the poor Red Hook neighborhood of Brooklyn. Yellen’s bias has always been towards economic growth and she advocated for accommodative low interest rates that probably contributed to the housing boom and then bust prior to 2007. She has admitted that her views may have contributed to that bubble and the “tech bubble” around 2000. Yellen always wanted economic growth, which would help lower and middle-class people live an easier life. Folks like the dock workers she saw her father treat in his practice. The irony was that low interest rates also helped grow value for people who owned assets like homes and stocks. It also punished older, risk averse people who relied on interest payments during retirement. It fostered income disparity. Federal Reserve Chair Janet Yellen, the first woman to lead the central bank and likely the most qualified nominee ever for the post, exited the Fed on February 3, 2018. The current gyrations of stock markets are related to Yellen leaving the Fed and the realization that inflation, after being almost dead for a decade, might be waking up. Higher interest rates – think 6-8% mortgages and a 6% prime rate – could slow down asset appreciation and bite into business profits, thus reducing stock prices. The stock markets have roared since Donald Trump became President with the anticipation of the tax cut legislation, which was recently enacted. The legislation will juice the economy with borrowed money and many pro-business features. The question that troubles the markets is how inflationary is the current business climate and will the rising tide of business and wages soon bring significantly higher interest rates and a possible bust of stock and real estate prices, bringing on a recession. I don’t pretend to know the answer, but I do know what I see around me. People with skills are able to get nice bounces in pay. This has been true for years but it now seems to be more pronounced. Folks on the bottom of the scale still cannot get much traction, even with supposed 4% unemployment. The people making $10-$15 an hour who have demonstrated an ability to hold a job are getting significant raises and overtime. Amazon is forcing up wages throughout the economy but it pushes its people hard and has trouble holding onto employees. Gas and diesel prices have risen significantly and that ripples through the economy. Freight costs are rising fast and big truck sales are booming. Light trucks are also selling. Healthcare costs are rising, but we are reaching the point where the buyers of healthcare are pushing back. Trump’s attack on prescription drug makers, CVS buying Aetna Insurance, and Amazon, Berkshire Hathaway, and Chase banding together to attack healthcare costs is an important signal of change coming. The big picture statistics from the government are showing minor signals of inflation at the moment, but my gut and business antennae tell me that inflation has started and it is moving faster than Washington’s numbers tell us. For a business person like me who deals in hard assets like machine tools, this is a period of major opportunity in the short run. The first half of 2018 and probably the entire year should be a “boom” period. Inflation will work for me – until it doesn’t. Maybe automation will hold down wage surges, but eventually the dike will break. Inflation will spring up with inflationary expectations. Then we may get the bubble and the bust. Janet Yellen is no longer at the top of the Fed. 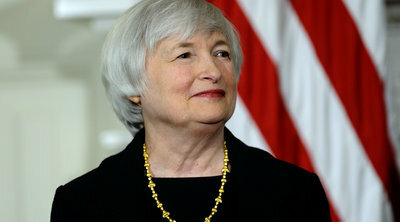 She and her predecessor Ben Bernanke helped us finally get out of the doldrums, and we’ve had 10 years of no inflation. Now times are great, and scary. Question: Is this a good time to buy a house? Ok, I will try to answer my own question, probably badly. Honestly, I am not a fan of real estate generally as an investment. My home in Chicago’s South Suburbs has been a wonderful place to live for 40 years. It has also been a terrible investment. My neighbors are mostly African American these days and a lot of white folks who have money and kids of school age think $160,000 for a 4 bedroom home with an office and a gym next to a schoolyard is an awful thing to buy. I think somebody would be well served to buy it if I wanted to sell. My daughter’s home in California is a modest 3 bedroom which would fetch more than $1000 per square foot. They are building an addition which will add close to $1 million in value. I would call that the definition of a bubble. This is why I don’t spec on real estate. I don’t identify value, well. An interesting idea to consider is writer-podcaster James Altuscher’s approach. He lives in Air BNB lodgings in New York City and moves every few weeks. He has few belongings and is divorced and living alone. No house, no mortgage. No garage or closets of stuff. He may be on to something. I like investments I can see and touch. We built a cabin in Door County in the early 90’s, and enjoyment far exceeded any rise in the stock market. Luckily, it is worth more than we paid still, but when you count the maintenance, fishing gear, and beer, we may have lost our butts. Rehabbing a house in Lake Geneva was an interesting 5 year project, and the place appreciated more than I could ever imagine. Again, much more fun than the stock market could ever have been, but the number of buyers if we ever want to sell now that the work is done will be very, very slim. With regard to inflation, you cant tell me it has not been there all alone. We used to buy 7/8 HSS Cobalt 2 flute end mills for 9.95 in 1991 from J&L. Try that now, (though everything has inserts today unless it is solid carbide) and it would be 50 bucks or more. We spend more on groceries now even though both of our boys are off at college, and the actual consumption is probably less than half. Maybe I am drinking better beer? Craft Beer? Corona, Anchor Steam? 1) Go to Binny’s and buy a six-pack of Koening Lugwig Wiess beer (brewed by the former Crown Prince of Barvaria) and a bottle of Schlenkerla smokey peat beer, any variety. 2. Chill in the refrigerator or back porch, your choice. 3. Pour the Koening Lugwig Wiess into a brandy snifter and add just enough Schlenkerla to darken the glass. 4. Enjoy, and marvel at the collection that Binny’s offers that other metropolitan areas do not.